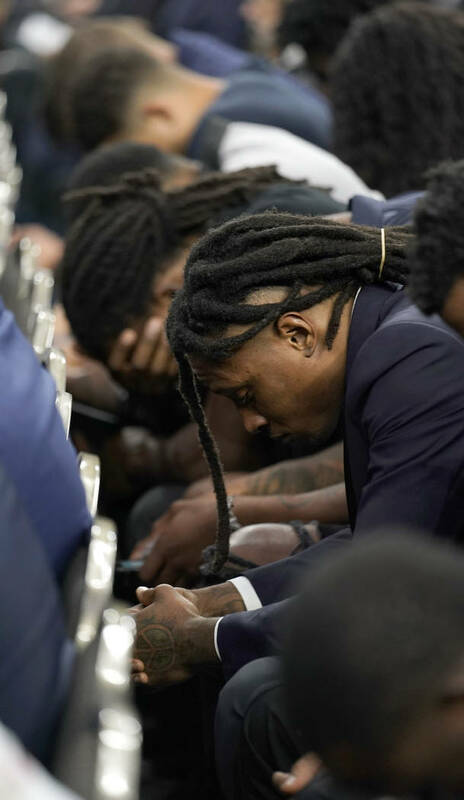 More than 1,000 of McNair’s friends, members of the Houston and NFL community, players and coaches past and present, gathered to pay respects and say goodbye to McNair, who brought the NFL back to Houston for its inaugural season in 2002 after the Oilers moved to Tennessee. 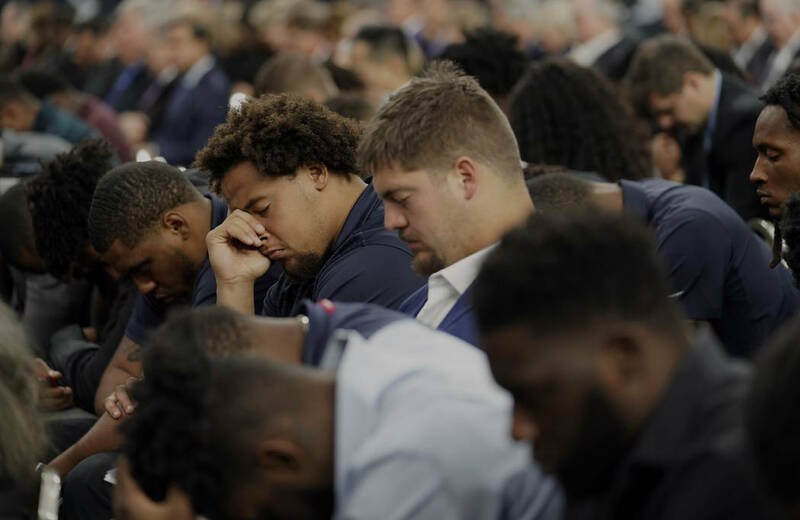 HOUSTON — With a stirring rendition of “I’ll Fly Away” marking the conclusion of a memorial service for former Houston Texans founder and owner Bob McNair, Dallas Cowboys owner Jerry Jones wiped tears from his eyes Friday afternoon. Former Secretary of State James A. Baker, a close friend of McNair’s, opened up tributes by saying the gathering was in the “House that Bob Built.” Baker said he and McNair enjoyed a love of politics, football and quail hunting, and said it was former President George H.W. Bush who converted both of them from Democrats to Republicans. The Rev. Eric Manning provided a welcome and an opening invocation. Manning is the senior pastor at Mother Emanuel A.M.E. Church in Charleston, South Carolina, the site of a July 2015 race-inspired mass shooting. NFL Commissioner Roger Goodell also spoke, calling McNair one of America’s finest sportsmen and business leaders. Goodell talked about that expansion process and how Houston was a long shot early on, but McNair never wavered. Goodell praised McNair for his faith, integrity, patience, honesty and thoughtfulness. “Not to put any more pressure on you and the team, but you know how much Bob wanted to win a Super Bowl,” Goodell said, looking to Texans coach Bill O’Brien. 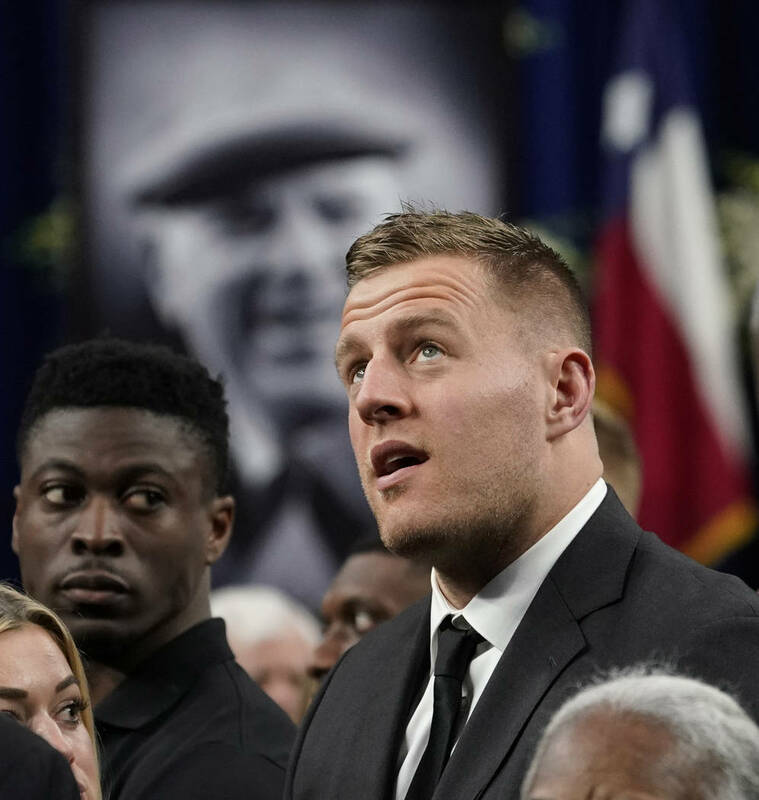 Texans defensive end J.J. Watt praised McNair for his philanthropy and generosity in the community. Watt recalled a charity event at NRG Stadium when, at the end of the event after “tons of money” had been raised, it was announced that McNair committed to matching everyone’s combined donations. Dr. Harris Pastides, president of the University of South Carolina, mentioned a commencement speech McNair did at his alma mater in 1999 and how McNair talked about meeting his wife, Janice, and telling her parents they were moving to Texas for a few years to build some capital before returning home. “He then reminded the graduates to never make promises they could not keep,” Pastides said. Dr. Dave Peterson, pastor emeritus at Memorial Drive Presbyterian Church, talked about McNair’s drive, which he said he believed was instilled in McNair from an early age. Peterson told a story of a young McNair in his small hometown of Forest City, North Carolina who wanted his country dirt road to be paved so badly that he would repeatedly stomp on a strip provided by the state’s transportation department to determine how busy the road was and whether or not it needed to be paved. McNair died on Nov. 23 at the age of 81. He had battled both leukemia and squamous cell carcinoma in recent years. 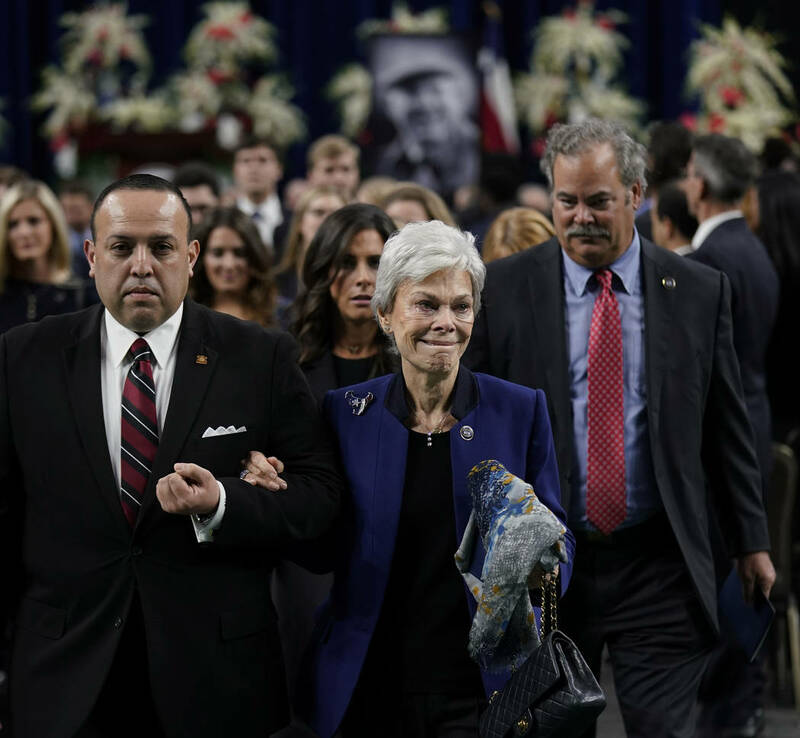 He died peacefully with wife Janice and his family by his side, the Texans said. 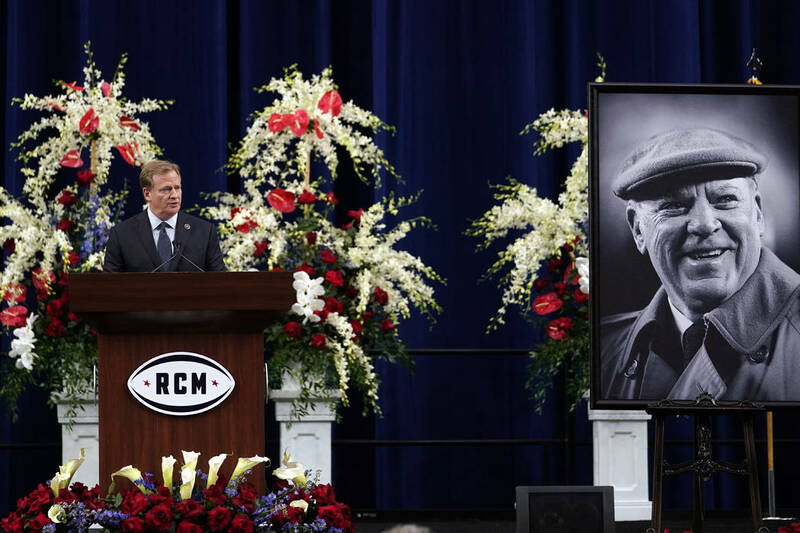 Following the tributes, a short video montage highlighted McNair’s life, with a focus on his time as Texans owner.